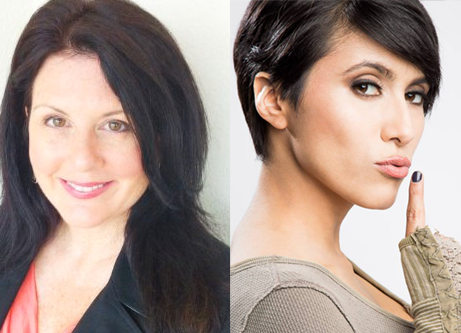 Welcoming voice actresses, Sandy Fox and Cristina Vee, to AX 2015~! Joining Anime Expo 2015, Sandy Fox (Chibi Usa in Sailor Moon, Kyoko in Akira, Lady Aska in Magic Knight Rayearth) and Cristina Vee (Homura in Madoka Magica and Morgiana in Magi: The Labyrinth of Magic) will both be participating in Q&A panels and autograph sessions. Sandy Fox began her career in the entertainment industry working for the Walt Disney Company performing in hundreds of live stage shows as a singer, dancer, and comedic talent. As a voice actor she began her career providing an array of voices for The Simpsons, King of the Hill, and Futurama. Her introduction into the world of anime was portraying Kyoko in Akira, and Lady Aska in the Magic Knight Rayearth series. She is recognized as one of the cutest voices in the industry and is currently voicing Chibi Usa and Black Lady in Sailor Moon Crystal, Mina in Naruto, Cylindria in Pacman’s Ghostly Adventures, and Peashy in Hyperdimension Neptunia Victory. Cristina Vee is a voice actress from Los Angeles, CA. Since getting her first large anime roles in 2007, Cristina has voiced over 100 characters in both animation and video games. Anime fans know her Mio Akiyama in K-ON!, Alisa Bosconovitch in Tekken Blood Vengeance, Homura Akemi in Madoka Magica, Morgiana in Magi: The Labyrinth of Magic, the eleven Honoka sisters in Netflix’s Knights of Sidonia, Cubone (and others) in Pokemon Origins, Fujiko Mine in Lupin III: Jigen’s Gravestone, and Riruka Dokugamine in Bleach. She was recently announced as the new voice of Sailor Mars in her favorite show, Sailor Moon! She also makes appearances in Sword Art Online, Kill la Kill, Fate/Zero, Doraemon, Accel World, and Squid Girl.